By Caz | November 16, 2018 | This post may contain affiliate links, which means we may receive a small commission, at no cost to you, if you make a purchase through a link. Read our Disclosure. 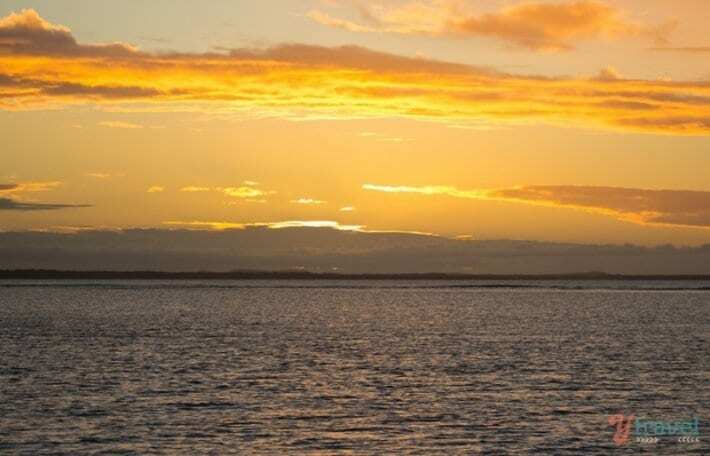 The Town of 1770 is one of only three places on the east coast where you can see the sun set over the water. The same with Sydney Harbour. I try to imagine what it must have looked like when the First Fleet arrived to start the penal colony in 1788. It’s a murky visualization as there is far too much concrete now covering the view. 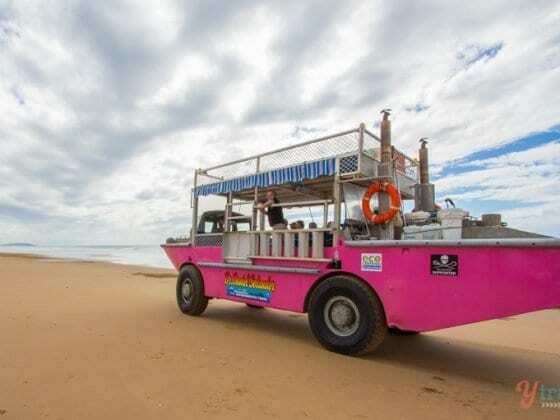 Except when you get to the Town of 1770 and Agnes Water and you explore the nearby beaches and creeks and headlands that Cook and his crew sailed past. Its natural state has been unchanged for thousands of years. I could imagine the wonder they felt meeting furry animals hopping along the beach guided by their tails, stingrays gliding along the sandy floor of the river, and dolphins guiding the nose of the Endeavour into a safe anchorage. It has everything a traveler will need, yet not many venture here. We first heard of it years ago from friends who visited and stayed awhile. They say it’s their favorite place in Australia. 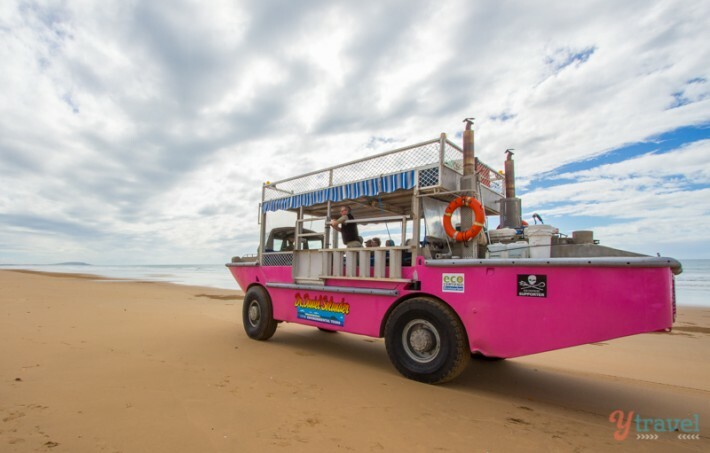 Agnes Water is about 8 km south of the Town of 1770. 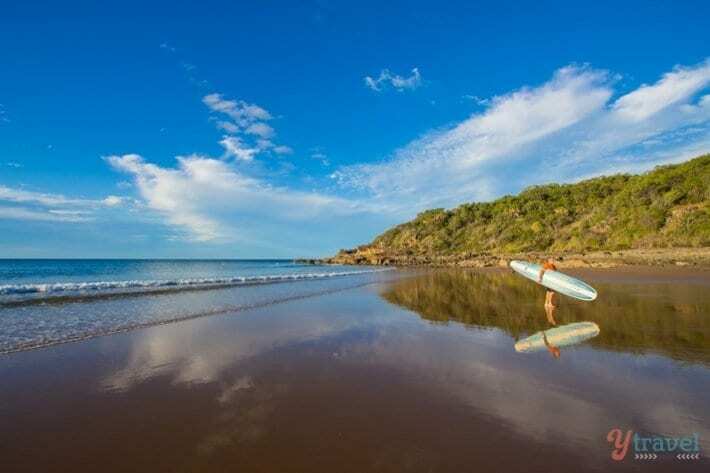 Agnes Water is the ocean town where you’ll find the surf and a fantastic beach. It also has most of the cafes and shops and room for development. The Town of 1770 is on the Round Hill Creek and is much quieter and smaller. This is where you jump on your cruises and do your water tours and activities. 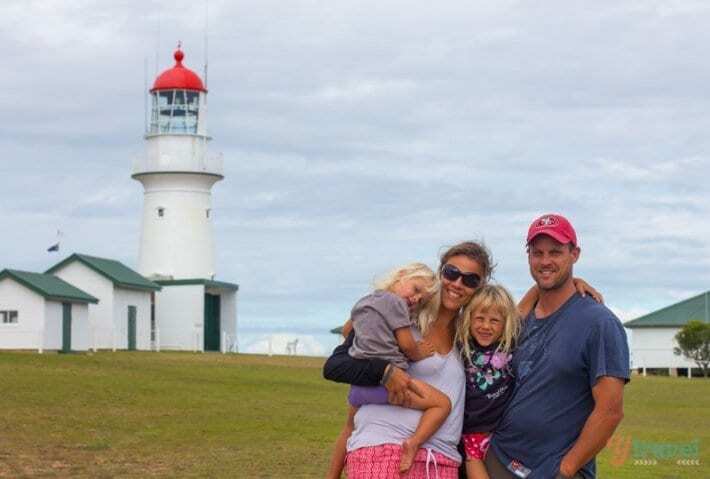 They each have their unique points, but I think we slightly preferred to stay in Agnes Waters near the beach and drive into the Town of 1770. 1770 Liquid Adventures is owned by a German and Aussie couple, Janina and Simon, who are adventure travelers who met diving in the Caribbean. 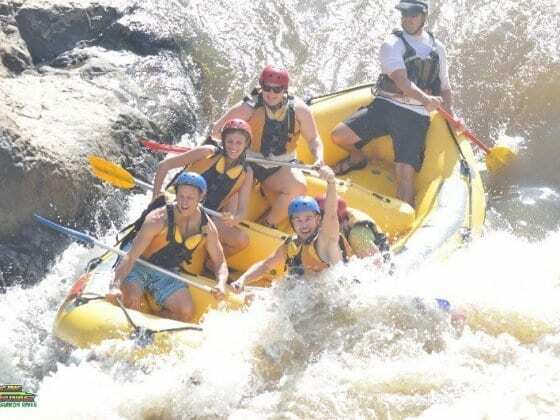 They totally understood our vibe and what travelers are really looking for in an experience, especially with kids. 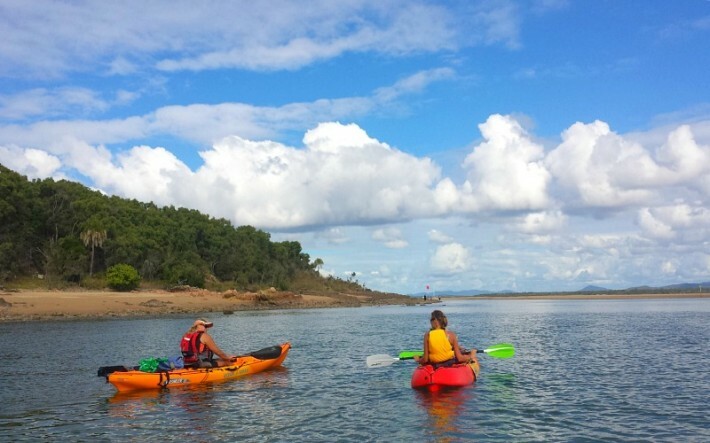 We chose the best day to kayak on Round Hill Creek – barely a ripple, crystal clear and the sun was shining down. 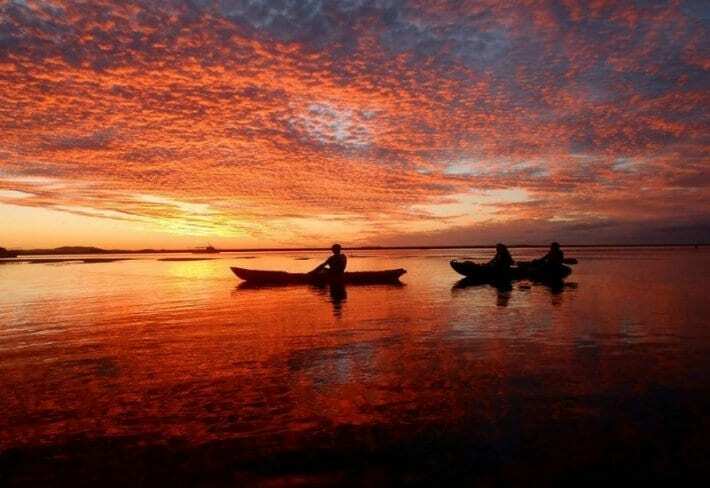 We’re really keen to return one day to experience their sunset tour – a paddle up the creek followed by a glass of wine on the beach with a magnificent sunset. 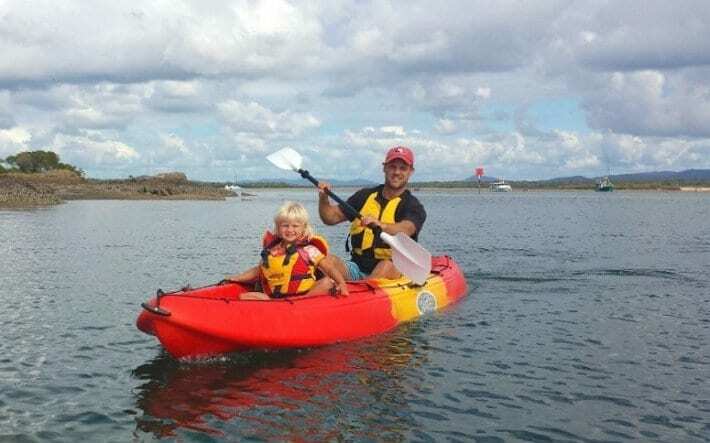 The time of the day where you’re most likely to kayak alongside dolphins. Magic! This tour is noted down as one of my favorites of our Australia road trip so far. 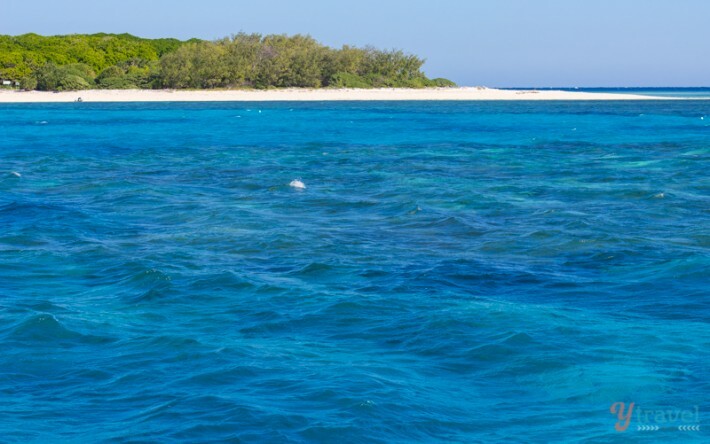 Read more: How to experience the Great Barrier Reef. Come early with your chair, a drink and some cheese and dips, and join the crowds. Sunset in the Town of 1770 is the place to be. It’s truly spectacular, so serene and really not too crowded. 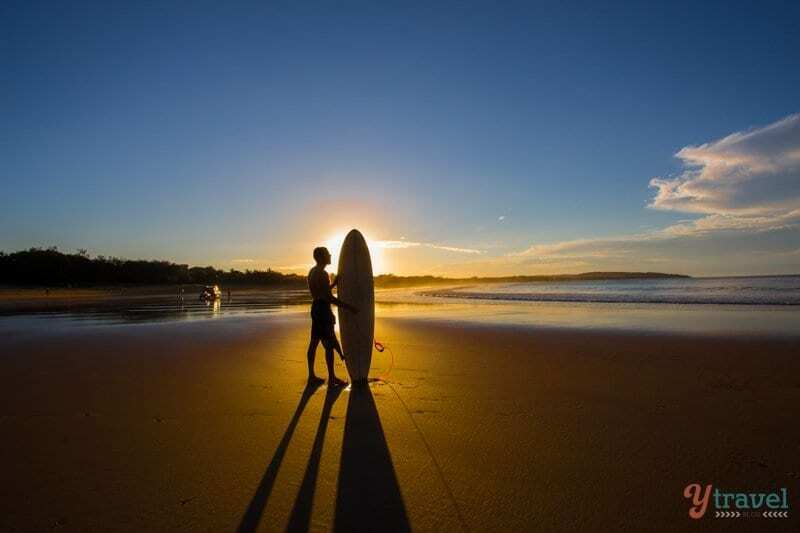 Surfing lessons in Agnes Waters are some of the cheapest you’ll find in the country. We were alerted to this by a fan on our Facebook Page. It’s only newly opened about 3 kms south of Agnes opposite Springs Beach. The girls loved pretending they were witches riding on their broomsticks down the wooden boardwalk and hopping along the stepping pylons above the swamp. 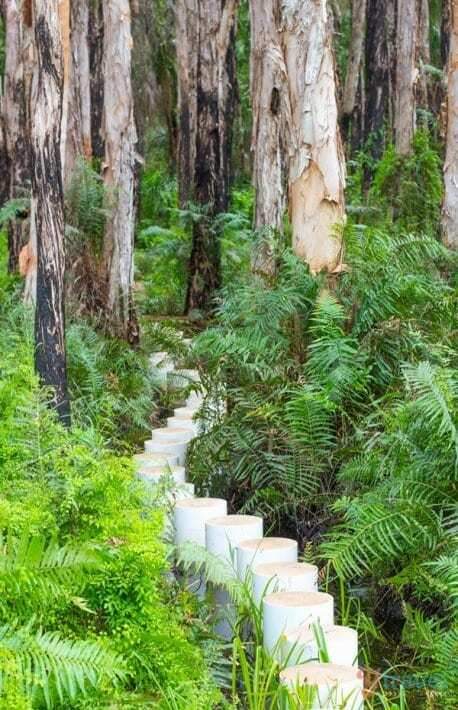 There’s a beautiful 2km walk from the 1770 campground along the headland through the forest to the Round Hill Head. 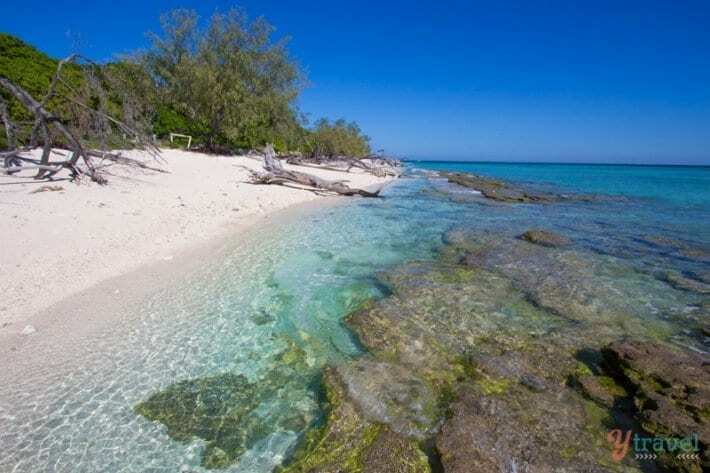 Check booking.com for properties in the Town of 1770 or nearby Agnes Waters. You get free cancellation on most rooms and a best price guarantee. 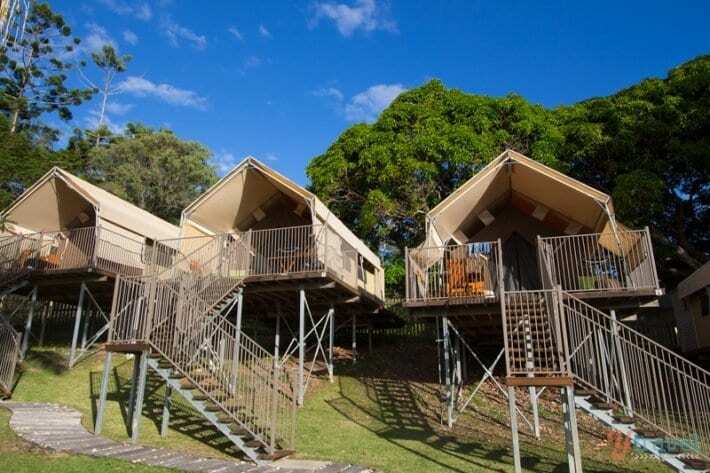 We stayed at these gorgeous beach shacks in Agnes Waters. RentalCars.com is the world’s biggest car rental booking service that compares all the major brands like Hertz, Avis, Alamo, and Europcar. 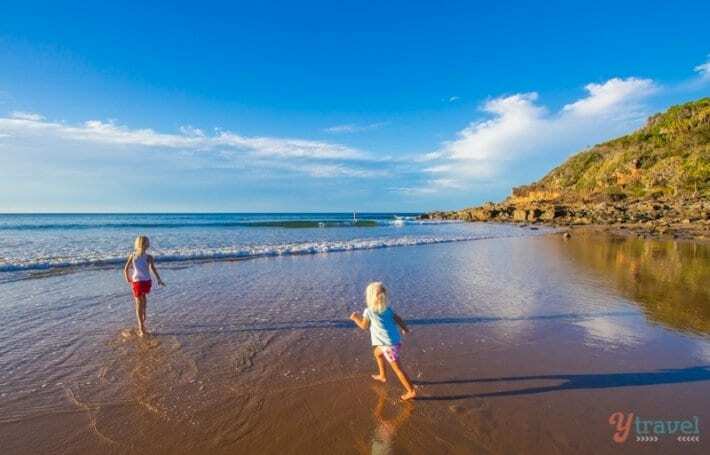 Book your car rental in Agnes Water here. 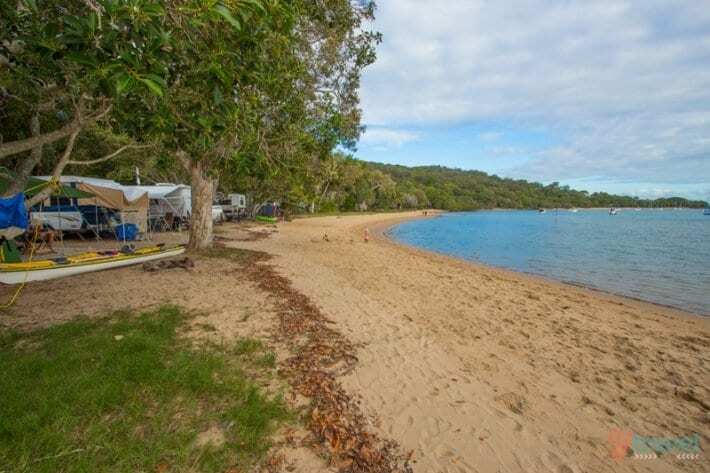 Check Outdoorsy for campervan, caravan and motorhome rental for your Queensland trip . They have offer ease, flexibility, unique offers, and includes insurance! 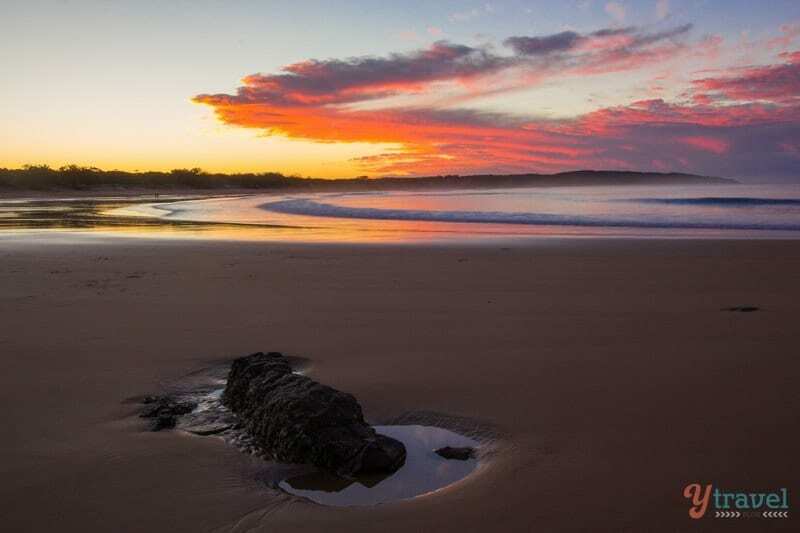 No doubt, sunsets are beautiful at Agnes Water! I agree concrete takes a lot away from a place. I wish this place remains as quiet and beautiful as it is today! You guys were lucky to have discovered it. 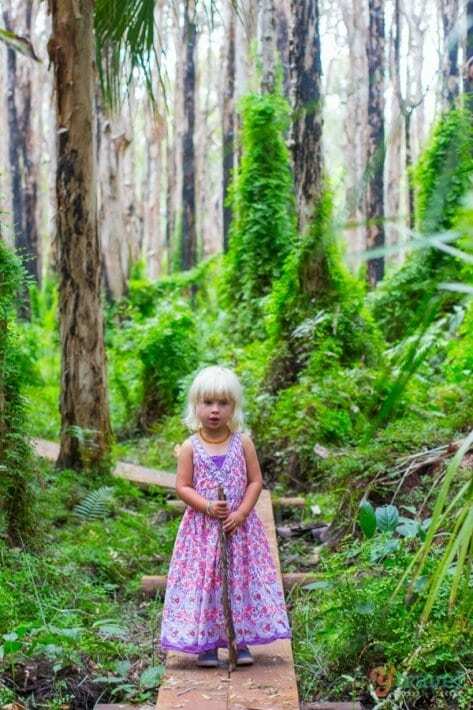 This place looks like a wonderland, and those 2 pics – 1 of your kid in the forest (like Alice in Wonderland! 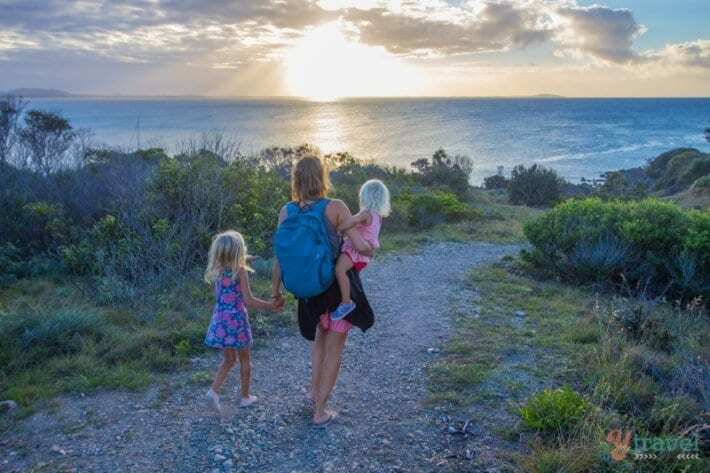 ), and 1 where you go with the kids towards the sea – are priceless! Looks amazing and relaxing but I;d visit for the name alone. I know! Isn’t it so cool! 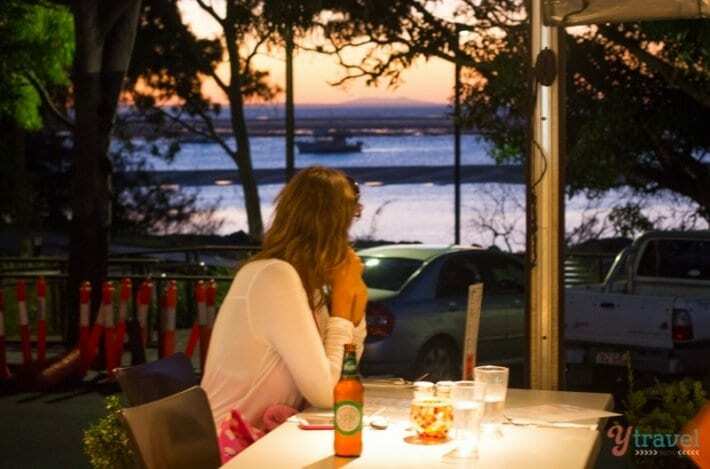 There is also a little hidden treasure behind the 1770 camping grounds right on the water front to dine. Beachcombers family bistro. Food is amazing the sunsets are beautiful and the staff extremely friendly. Perfect prices for families with their most expensive meal only $21.00 and the amazing pizzas $14.90 the are massive and one did feed my family of 3. It’s BYO. We had wine on the sand watched the sunset then 3 steps and we were at our table. We recommend this little treasure to everyone. They did all day breakfast, coffee, milkshakes,burgers, chips, fish, pizza, meals like rump snitzels pork local fish and my personal favorite honey spun potato prawns and lots more. Go check them out. 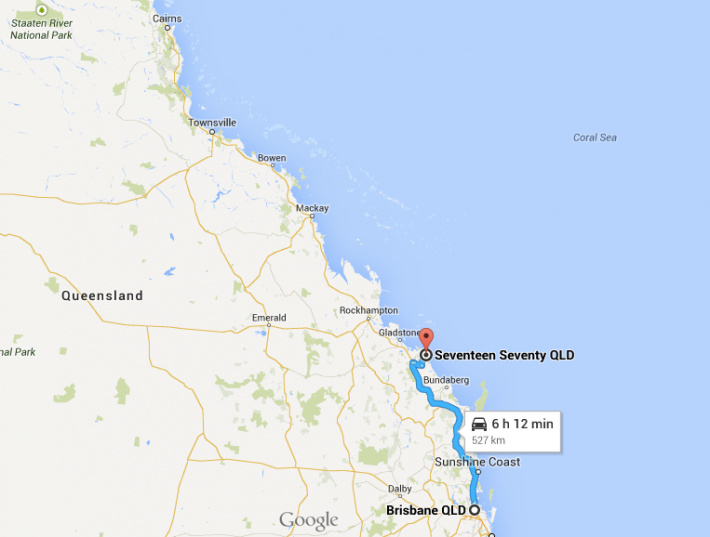 Fantastic account of Agnes Water and the Town of 1770. We were only there last week and I have to agree with everything you said. 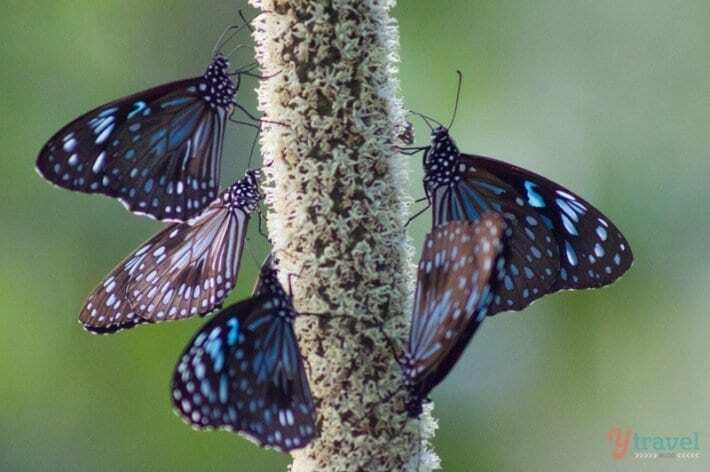 The butterflies in the rainforest were magical, weren’t they? Gorgeous pics of your family too! The 1770 Music Festival (the 1st edition) will be held on the 27th -28th & 29th of November 2015. 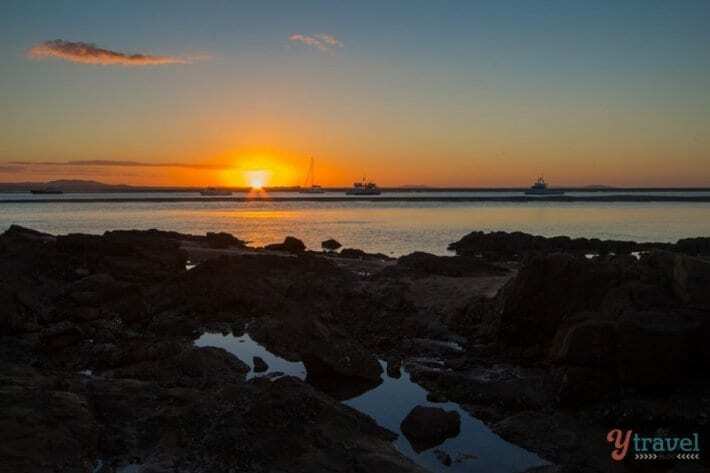 The Festival will be held in the seaside township of Agnes water / 1770 this was the first landing for James Cook and his crew in what is now Queensland. The festival will also coincide with Year 12 students celebrating the end of school 2015 (Schoolies Celebrations). The 1770 music festival will provide a ticketed & supervised event for school leavers to enjoy. 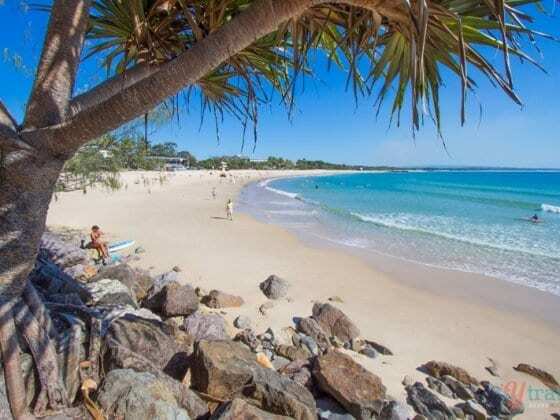 Along with our beaches, their aesthetic appeal, free space, and sociable atmosphere may to a degree encourage and emphasise the very rite of passage that school leavers come to celebrate in our region.I have been a Local community member in the Agnes Water Region for 16 years, ITS THE ONLY PLACE TO LIVE. could you please advise if you will be posting my previous comment please or advise on why it was not posted. thank you. We just hadn’t gotten around to approving comments yet. We usually prefer our comments to not be just about advertising, but I’ll let this one go as it sounds like a great event for a fab area! We’re happy to help bring awareness to it. Can you share your top local tip for the area? Check out the Museum across from the police station. 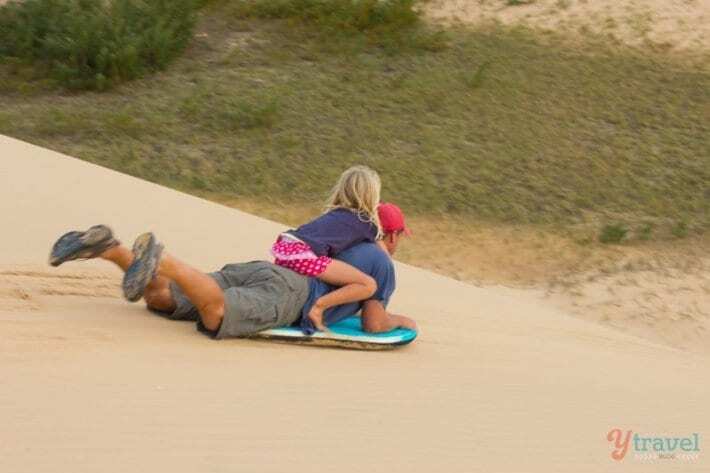 Both towns sound wonderful and I love the idea of a kayak tour at sunset plus the sand boarding looks great fun. But the walk through the forest sounds absolutely magical and I’d go nuts for those butterflies! I didn’t realise there was anywhere on the east coast to watch the sunset. 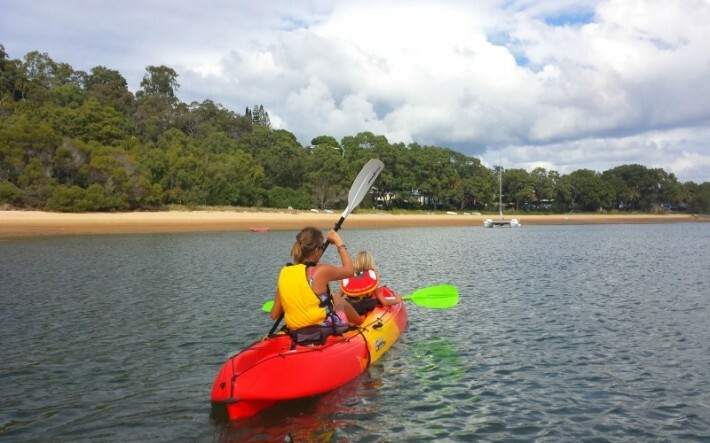 It looks lovely with some great outdoor activities for the kids. those treetop chalet look cool — not sure about the stairs. I just found your awesome article online. 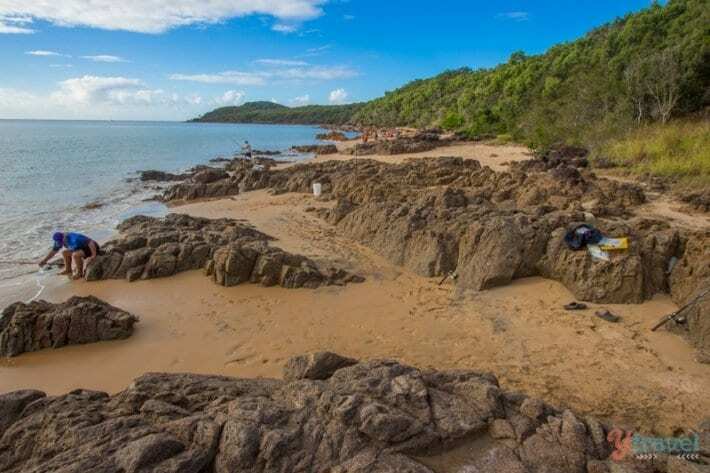 You have inspired me to seek out more to do in Agnes Water – which is a credit to you as I have been to Agnes Water many, many times :-). Along with my husband I own the caravan park that you stayed at while visiting Agnes. 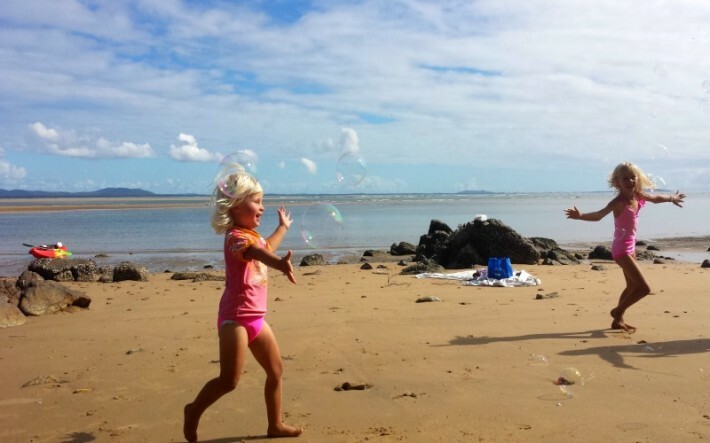 We are very proud of our park and feel so privileged to share our beautiful beach with the rest of the world. 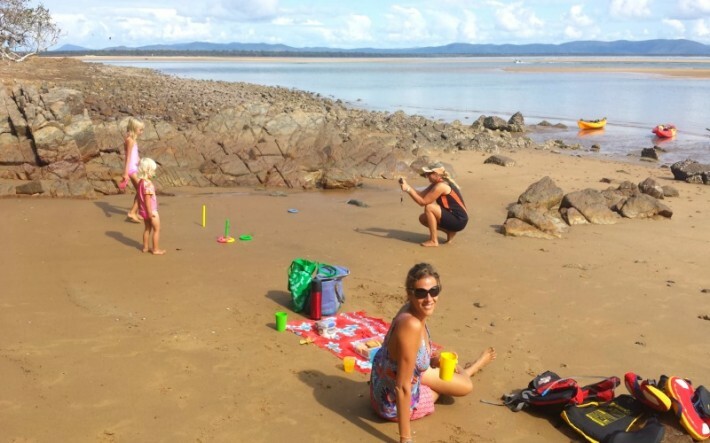 Our Park is actually called Agnes Water Beach Holidays and my tip to your readers is that if they need more space for a family trip (as do WE when we stay in the Park with our three boys) then one of the two bedroom apartments along the beach may be better. The safari tents have charm but the Beach Houses let you really spread out. The tenants in our onsite cafe have outgrown our little space and they are now moving just 200m down the road to a bigger venue. They will continue to make great coffee and Chef Kelly’s amazing food. 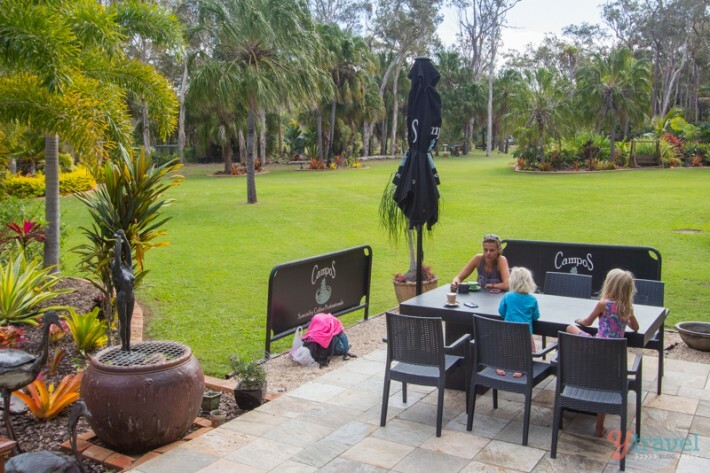 We are currently re-furbishing the cafe space and we will be open again for the September school holidays to serve yummy food, coffee, ice-cream & milkshakes to all guests and beach go-ers. Thanks again for your review and gorgeous photos. I get so excited when I read things like this – it makes all the effort worth it. 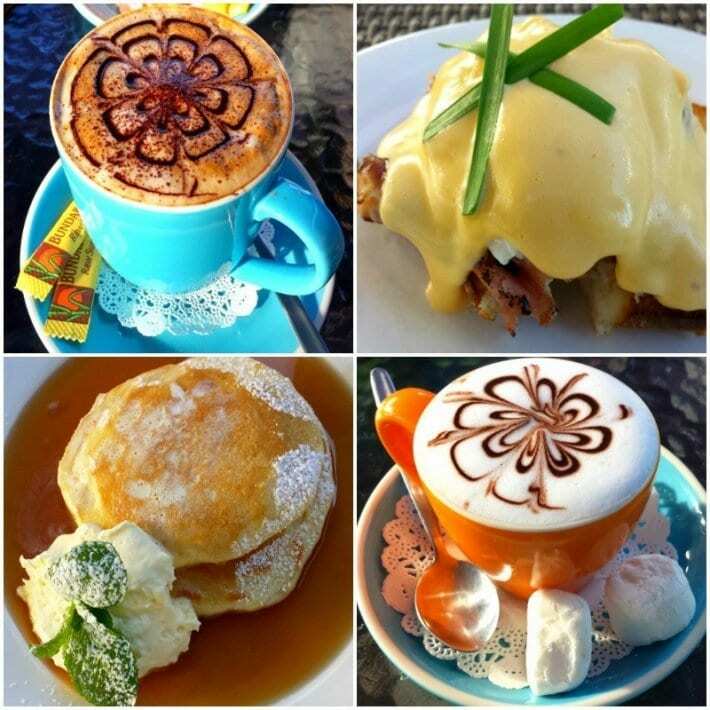 Nice post about gateway garden cafe and the tree restaurant .These are the best places in the world where everyone like to travel. looks amazing….Im wondering if theres a need for high school private tutors LOL. is there dog friendly camping places? such fab beaches , and dog friendly beaches …..so glad to have found it. I”m not sure. We went some time ago so it may have changed. I’d reach out to the Larc tour company and find out.